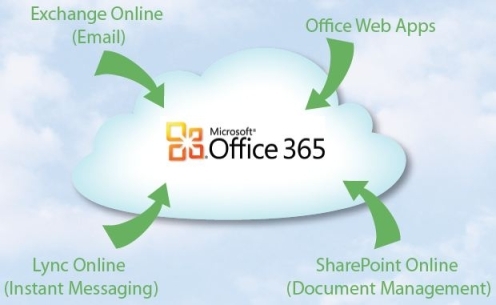 Instant messaging (IM) and online meetings powered by Microsoft Lync Online. Latest business productivity capabilities – the latest messaging and collaboration features such as corporate-standard e-mail, web conferencing, instant messaging, document collaboration and workflow – all hosted, updated and managed by Microsoft. Easy to purchase, easy to use, easy to manage – Through T-Suite, businesses can buy their business applications through a simple experience and receive a single bill. IT administrators manage subscriptions and configure all Microsoft Online Services from one place. End users can securely access the services without the need for a VPN connection, and through a variety of mobile devices. Greater flexibility and choice – The online service offerings can integrate with on-premise servers and applications so that organisations can run some applications internally and others as online services hosted by Microsoft. Leveraging tools such as Active Directory synchronisation, customers can make online, on-premise or hybrid deployments as required. Buying the BPOS, the bundled suite of hosted Microsoft software –Microsoft® Exchange Online, Microsoft® SharePoint® Online, Microsoft® Office Communications Online and Microsoft® Office Live Meeting, a customer should be able to make significant savings over the price of buying the individual hosted elements (for 1-99 users). Simple to expand – Businesses can quickly grow their headcount or organisational abilities by adding new services or users without having to invest in the development of new IT skills or deploying new hardware and software. Improved focus – Valuable IT resources will be freed from routine IT management tasks to focus on core business initiatives that can deliver a true competitive advantage. Corporate-standard security and reliability – Microsoft Online Services, run on a network of world-class data centres, protected by multiple layers of security and operational best practices – all while providing 99.9% target service availability. Backed by Telstra’s broadband networks: Telstra's Next G network, the largest and fastest mobile broadband network in Australia and Next IP, the largest integrated all IP wireless and wired network in the world.